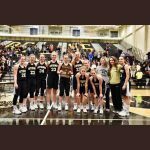 We are very proud of Coach Buck, Coach Sherrill, and the girls basketball team for making it to sub-state this year. We thank the seniors for their hard continuous work for four years. Unfortunately the varsity girls basketball team fell to Riverdale on Saturday March 2. Final score Riverdale 65 SMHS 45. 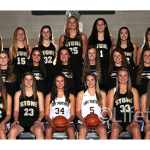 The Varsity girls basketball team will travel to Riverdale High School on Saturday March 2 at 7:00 PM. The SMHS Lady Panthers fell short against Bradley Co. with a score of 35-47. They play Saturday at 7 p.m. at Riverdale in Murfreesboro. Boy’s basketball lost 68-65 against East Hamilton. Congratulations to the boy’s basketball team for a great season. There will be a pep bus for the Bradley Central game on February 27th. The cost of the pep bus will be $2 and the bus will leave at 4:15. If you want to go you will need to turn in a form in the VP office. Good luck to the boys who play a regional game tonight @ 6:45 at Cleveland Highschool vs. East Hamilton. 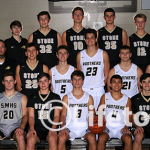 The Varsity Boys Basketball team will travel to Cleveland High School to play East Hamilton February 26th at 6:45 PM CST.